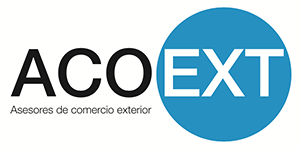 ACOEXT (Foreign Trade Consultancy), “born global” we have our own innovative working system and method and our main headquarters in Alicante – Spain. We are specialised in offers that orientate the SMEs during their internationalisation processes with the Latin American countries and vice versa. For the business development we offer cooperation and business support agreements. Freelance workers specialised in foreign trade (export managers, foreign trade consultants). Marketing consultants (freelance or corporate body). Graduate University students or finishing.People with a Masters degree or with specific knowledge in foreign trade or an equivalent with experience in the field. Students with a Masters degree combining their activity with professional labour as a freelancer in this field. The potential candidate will have the chance to represent the company in its natural activity region in Spain as well as in Latin America. Furthermore, they will be able to spread their value proposition and to take part in synergies that will benefit the business dynamics and the participant’s management through networks in Spain as well as in Latin America. Export manager agent of the company in his/her region, state, department etc. High level of client’s guidance. High knowledge of the promotion system of the exports in the country or region. Contact: If you are interested send your CV and cover letter following this link.